Grandfathers Norwegian Smoking Pipe is missing. Our Norwegian smoking pipe was either brought from Norway in the late 1800s when my grandfather emigrated to the USA, or it was mailed to him as a gift from family members in Norway. Unfortunately, the Norwegian smoking pipe has gone missing from my Dads home, and I’ve only found one pipe like it on the internet. I know nothing of it’s history, how old it might be, if it was used only for certain occasions, etc., and Dad recently passed away and therefore I cannot ask him. 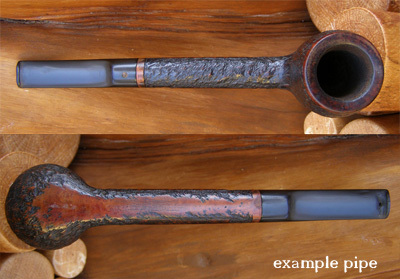 Made by G. Larsen of Lillehammer, in 1870 and is representative for the Scandinavian/North European pipe tradition dating from early 19th century until about 1920. Typically, pipe heads grew bigger as tobacco became more available from the colonies. Most pipes were made by local craftsmen who did not leave any form of signatures on their work. We are curious about Norwegian smoking pipe history, the value, whether they were made throughout Norway (grandfather was from Oppland area) and commonly used throughout Norway, or just in certain areas or by certain people, etc. I have G. Larsen pipe approx 22″ long. It is stamped with H.H. then a small teapot then 830s.